Herbal Blend with Lemon Verbena, Rosemary, Lemon peels, Chios Mastiha. Lemon verbena is a famous herb known for its detoxing and toning benefits. Really helpful when in loss weight program. Refreshing scent that rejuvenates the senses. Rosemary enhances the brain function and it is also known to boost alertness, intelligence, and focus. Lemon peels are toning, full of vitamins and they are a very powerful source for the reduction of oxidative stress from our bodies. Chios Mastiha has antioxidant and antibacterial properties and anti-inflammatory actions. Mastiha also has a really unique flavor that transcends the taste. Greek organic aromatic plants, grown with care and dedication to organic farming and processed through the traditional method of natural drying. The colour and aroma remain unaltered by losing nothing in the process. It is the absolute scent of the Greek summer. 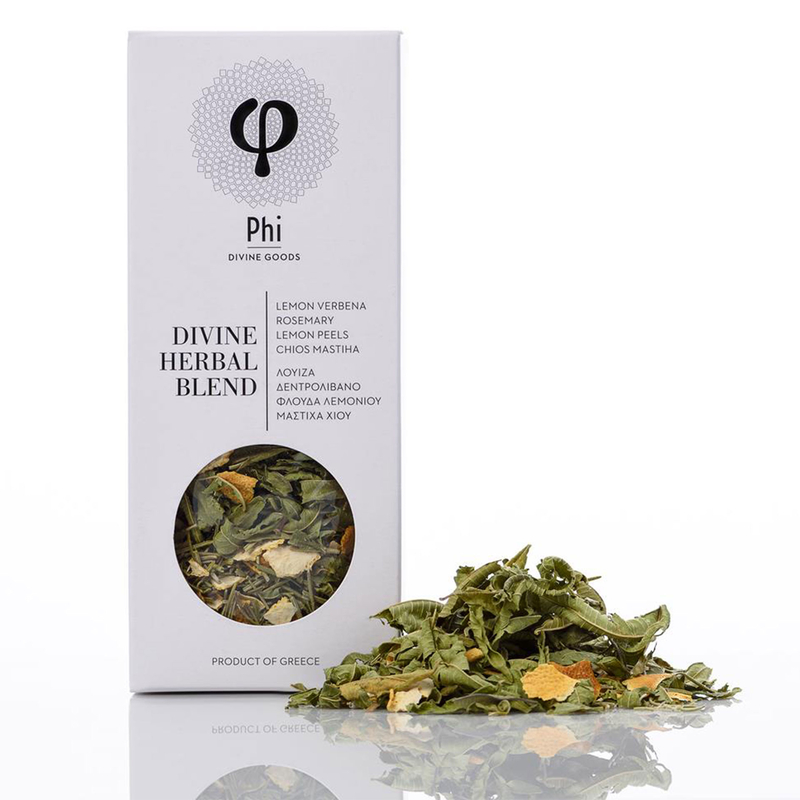 The organic aromatic herbs of Phi Divine Goods satisfy our need for tonic beverages during the day, contributing effectively to combating a cold and rendering even the most mundane plate to a delicious one! *We strongly recommend you to try it cold too! Follow the instructions above, let the beverage to cool, add ice and enjoy!